Rhos on Sea Scout Headquarters is a modern building with central heating, hot and cold water, three toilets, shower, kitchen complete with pots, pans, microwave, cooker and fridge plus a spacious main hall complete with climbing wall plus a small meeting room and also a leaders room, there is also a fixed OHP and screen. 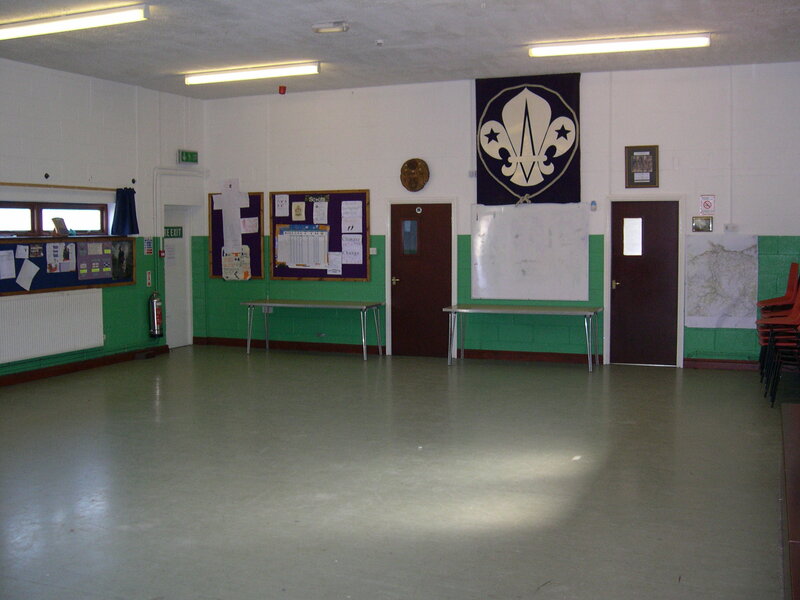 The Headquarters is suitable for beavers, cubs or scouts who need a floor for the night. Camping is not allowed, however tents can be put up for training purposes during the daytime on the park field. The HQ is situated on Church Road, Rhos on Sea, LL28 4DJ. We are situated next to Tucky Park which has an all weather pitch and playground. We are five minutes walks from the sea and ten minutes walk from Rhos on Sea which is a popular holiday spot. The traffic free coastal cycle / walking track starts from Rhos on Sea, you could ride or walk as far as Prestatyn or Llandudno. The cost is £6.00 per person per night. The HQ is available free of charge for scout or guide training courses. We also allow other groups to use the building. Main Attractions- Erias Park http://www.conwy.gov.uk/colwynleisure. It’s fantastic to be able to keep up with what other Scouting groups are up to and wonderful for ideas of where to stay – love the links! Great to use, thanks for all the effort. Hello, my son Wil will be 6 in March and wondered if I could put his name down for Cubs/beavers. Could you please let me know details of when you meet and cost and whether it would be possible for Wil to start in March next year. Beaver Scouts are aged 6 to 8 and at the moment we are looking for a new Beaver Leader so could you get back to me in September when I will know what’s happening.